Join us May 8th and 9th for hands-on product experience and training presentations breaking down HDR, 4K, and several "need to know" aspects these have on your installs. • All your questions answered! Live demos and lunch provided. 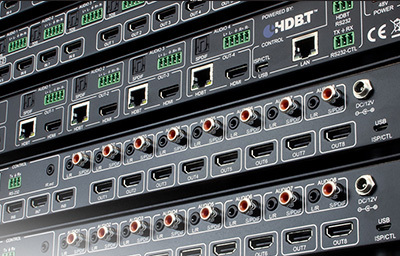 AVPro Edge specializes in high speed 18Gbps signals with HDR, and the matrix switches are no exception. With so many extenders ranging from short to long distances, transferring signals over fiber optic or category cables &dash; there is an extender option for every installation. 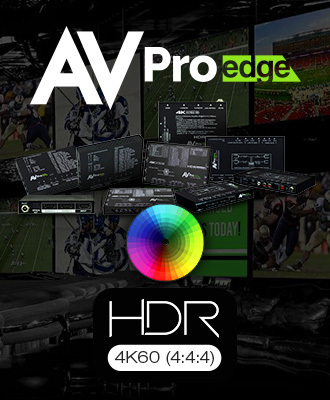 Amplifying 18Gbps signal, 4K/UHD, and even HDBaseT, AVPro creates a range of products that are fully cascadable. Please sign up below to attend our AV Pro Edge On-Site Training.